This case is unique to Connecticut, but it still raises a due process issue that the rest of us might appreciate. The plaintiff is a tenured culinary arts teacher who did not receive notice or a hearing before the school district reduced her hours and salary. Since she was not "terminated" under Connecticut law, she does not have a due process claim. The case is Mirabilio v. Regional School District No. 16, decided on July 30. Under Connecticut law, prior to "terminating" a tenured teacher's contract, the teacher gets notice and a hearing. In other words, due process, enshrined in the Fourteenth Amendment. Connecticut courts have held that this protection "does not apply to plaintiffs whose positions were being eliminated but whose employment with the board continued." The Second Circuit (Jacobs and Livingston) adds, 'an employee reassigned to a paying position is not considered 'terminated' for purposes of the statute even fi the pay cut is 'substantial.'" This means that plaintiff was not deprived of her right to continued employment and therefore does not get notice or a hearing to challenge the personnel action. Judicial activism comes in many forms. One of the most unjustified is when a federal court, for no good reason, reaches out and answers an undetermined question of state law.1 Doing this, rather than certifying the question to the state’s highest court, impedes the state from determining the course of its own law, and subjects the parties to a decision that may be wrong and cannot subsequently be corrected even if later the state has an opportunity to make its law clear. This is especially unfortunate when the party against whom the federal court rules had sought a judgment in state court, presumably because that party believed state law to be in her favor; the other party had exercised its right to remove the case to federal court; and the party seeking a state law ruling followed this with a request for certification. These are precisely the circumstances in the case before us. In an interesting footnote, Judge Calabresi notes that, shortly after he became an appellate judge in the 1990s, the Court of Appeals was unable to correct one of its rulings that the State Court of Appeals had resolved differently in another case. In DeWeerth v. Baldinger, 8365 F.2d 103 (2d Cir. 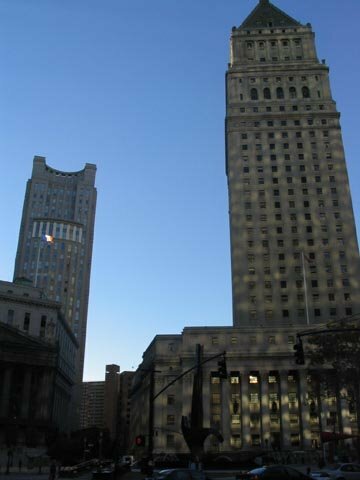 1987), the Second Circuit resolved an issue of New York law on its own. When the State Court of Appeals decided the same issue differently four years later, "the party against whom we had ruled in DeWeerth brought a motion before us to recall our mandate and vacate the judgment. Since we concluded that we lacked the authority to do so because the district court had resumed jurisdiction, we denied the motion without opinion on May 17, 1991. And when the district court found that relief was due to the party we ruled against pursuant to Federal Rules of Civil Procedure 60(b)(5) and (6), we reversed it, finding that awarding relief was beyond its discretion. In short, our error in interpreting New York law was one we were unable to remedy."